My mother has always been big on holiday traditions, especially those related to food. 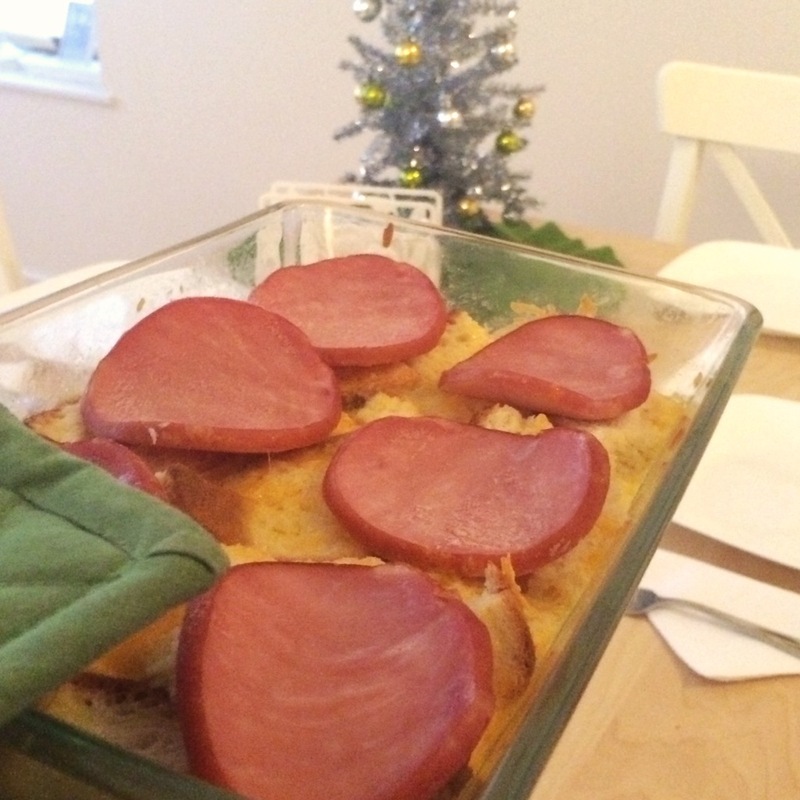 Every Christmas evening we devour a tender roast beast and every Christmas morning we dive into a yummy strata. 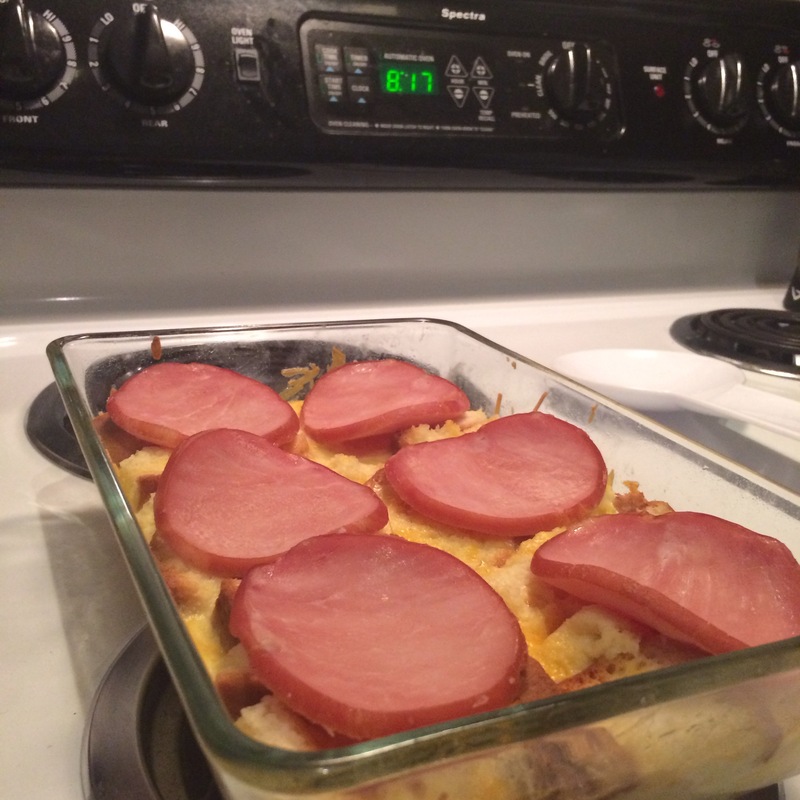 There are usually two breakfast strata’s on the menu, but my favorite has always been her cheesy Canadian bacon strata. The best things about this Christmas brunch? 1) It requires low-effort prep, 2) it is easily halved or doubled to feed the appropriate party, and 3) it features a relatively low cook time! 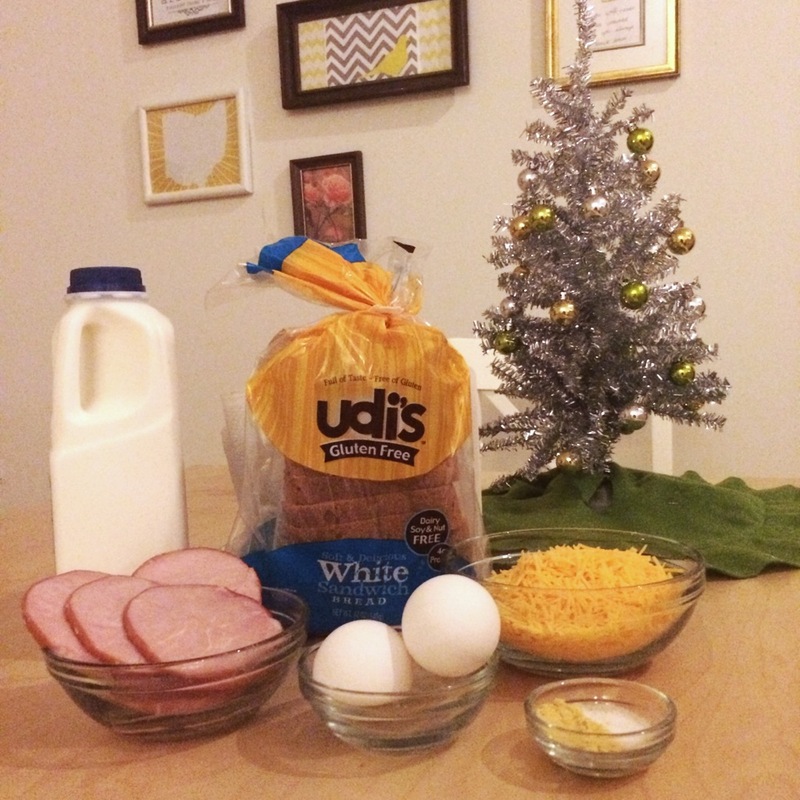 I made my mother’s fabulous make-ahead Christmas breakfast casserole recipe gluten-free by using Udi’s white sandwich bread! 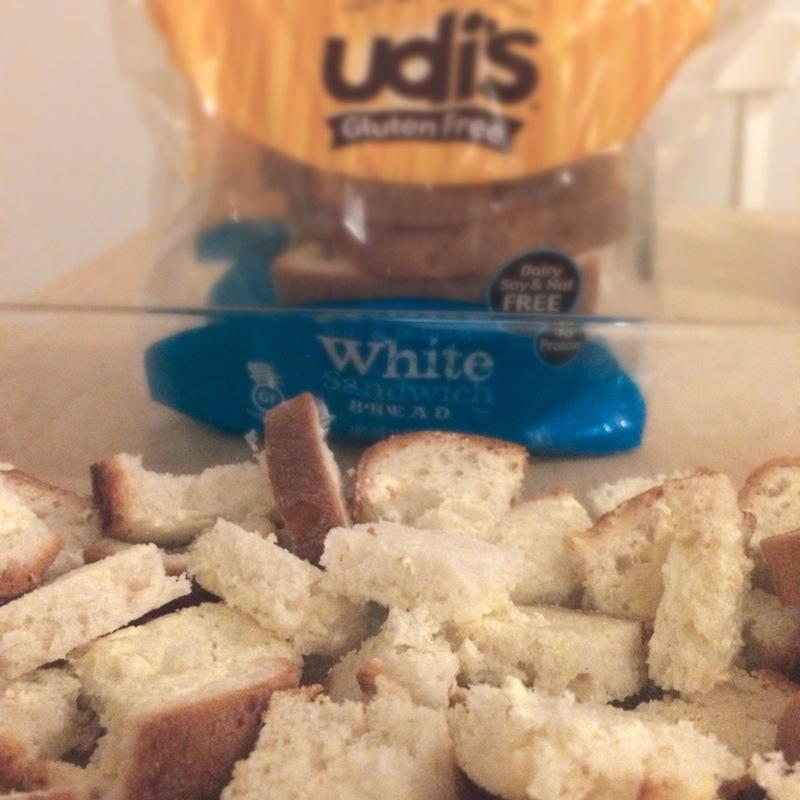 Udi’s has encouraged bloggers all over the states to share fun holiday gluten-free recipes, and I’m thrilled to contribute one so close to me and my family! The half recipe is pictured here, but I’ve included the full recipe below! Butter sliced bread and cut into 9 squares. Layer bread and sharp cheddar in a 13 x 9 inch pan. Combine eggs (slightly beaten), milk, salt and mustard in mixing bowl. Pour wet mixture over bread and cheese. 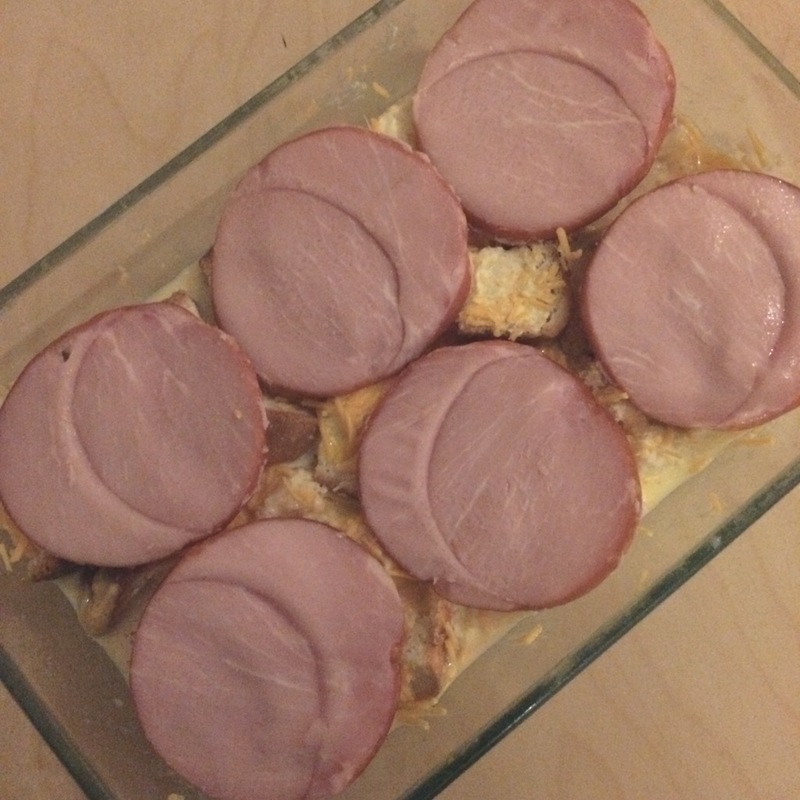 Place slices of Canadian bacon on top. Refrigerate covered with foil over night. Bake with foil for 35 minutes. Remove foil and bake for an additional 10-15 minutes.